This highly popular, seafood, pork and chicken bone, thick-soup ramen shop's trademark is in its super-fat noodles folded over 32 times. Their spicy miso ramen is topped off with a scoop of the raw, spicy-hot miso itself--truly an original style not seen anywhere else. The tori paitan soup from Men-ya Ryu features a concentration of the umami of chicken, which is extracted by boiling it for many hours, the sweetness of vegetable potage, and the harmony of rich seafood flavors. It is a Canadian-style tori paitan soup that is unavailable in Japan. 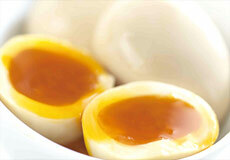 The home-made smoked maple butter as a topping lets you enjoy a change in taste. Tondou was created as part of the "Project for Creating New Local Ramen," a Ra-Haku project for proposing new ramen in a region where no ramen exists. Salt ramen is simple but rich in flavor, utilizing ingredients from Okinawa. 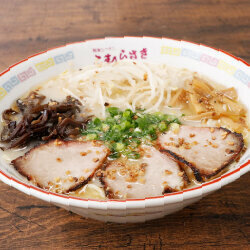 The ramen is produced locally in Okinawa and continues to evolve. * The restaurant operates as a bar at night (please see the back for details). Founded in 1954, the soup at this historic ramen shop serves a mild-flavored sauce that combines chicken bone and vegetable broth over a tonkotsu (pork bone) base. The soup includes their own specially-flavored oil, and roasted, crumbled garlic chips scattered on top; the fragrance of which really piques your appetite. For 50 years since its founding in 1968, this restaurant has continued to operate at a single site, without opening any branches. Although its business hours (9:00 pm to 2:30 am) often make it inaccessible, it attracts a large number of customers every night. They include people from outside Fukuoka as well as locals. 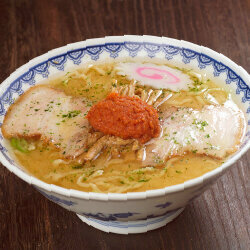 The greatest attraction of this ramen is the thick broth with an addictive taste. Many fans of this ramen become hooked after trying it once. 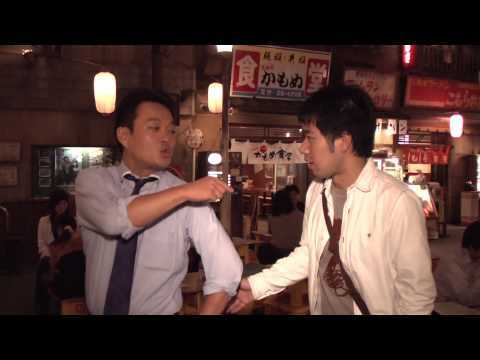 It is so popular that some people take a taxi all the way to the restaurant after the last train. The master of this ramen shop has been nicknamed "The Ramen Demon." This shop uses wheat flour that's specialized for use in noodle making. The chicken used for their soup comes from fowl bred by the shop master himself. He traveled all over Japan, and with great scrutiny, brought together over 30 ingredients of the highest nutrition. Shin-Yokohama Ramen Museum was founded on March 6th, 1994 as the world's first food-themed amusement park. From the start, our concept has been to be the one-stop place to enjoy the flavors of this national dish from renowned shops across Japan without stepping on a plane. To commemorate our 20th anniversary, we've expanded on the Japan-wide concept to being one that covers areas worldwide, delivering even more of the attraction and fascination of ramen to one and all. Our nine ramen shops are showcased in a street-scape replication from the year 1958, Japan. It was in this year that the world's first instant ramen was invented. In this section, visitors can learn about ramen, centered around its history that has been clarified through 25 years of investigation. It includes newly discovered Chinese noodles in the Muromachi (1338-1573) period, and the disclosure of the dawn of ramen. 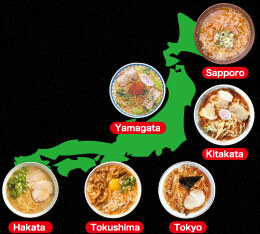 A ramen shop where you can bring home ramen from all over the country. Find various goods like chopsticks, bowls, and even utensils special to the ramen trade. Make your own original brand of ramen at the "My Ramen" booth, or your very own sweets at another of our booths. These are just some of the countless selection of Showa era and ramen goods offered. Racing slot-cars first gained widespread popularity in Japan in the 1960s. Its popularity waned and again peaked several times thereafter. Nowadays, however, the slot-car has become quite a rarity. IRIS is a fully equipped, authentic thirty-meter long course with six lanes where both children and adults can rent and race slot-cars. Rest your weary self down in the laid-back atmosphere of this café from Japan's good old days. Soft-drinks, and alcohol selections, as well as light meals are on the menu here. Of particular popularity is their Hokkaido soft-serve ice cream, called soft cream. Get it to-go. 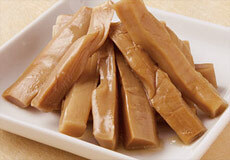 Dagashi-ya (old-fashioned sweet shops) bring back memories of childhood shopping for many Japanese people. Dagashi-ya were where children would gather on the way back from school, and we've replicated one such classic children's social hub. Jam packed with more than 300 old-fashioned sweets and toys, this shop is the source of much excitement for children and grown-ups alike. 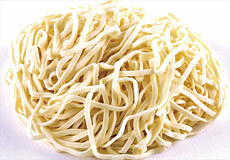 With its roots as a Chinese noodle dish, ramen spread to Japan and integrated with the local food-culture. In 1859 Japan opened its ports to the world, bringing in linguistic interpreters from China and Western countries. Foreign settlements were set up in Japan's major port towns, where Chinese restaurants began to line the streets. This gave way to the formation of China Town. There, the Chinese noodle dish that would later become the source of Japanese ramen was served. In time, the Japanese locals began to eat at these Chinese establishments, some of which began to set up their own independent operations, selling noodles from carts (or yatai) on the streets. 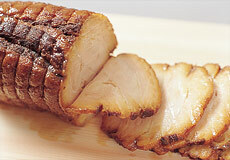 The difference with Japanese ramen and the Chinese noodles can be seen in the soup stock, or dashi. The soup used for Chinese noodle dishes is used in several other Chinese soup dishes, whereas the soup stock used in Japanese ramen was created with only ramen in mind. Being a treasure-trove of umami, with anywhere from five to up to forty different ingredients used to make it, that's one reason why ramen soup has drawn attention from around the world. 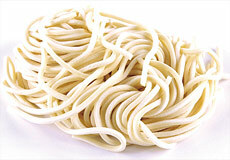 Wheat, brine and regular water, salt and eggs comprise the primary ingredients that go into making the noodles. 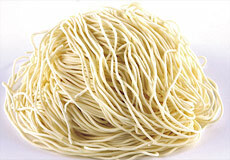 Noodles are categorized by five criteria: their thickness, the percent of water used to make them, their degree of wave or shape (chijire), and their color. These criteria together have an affect on the overall flavor. 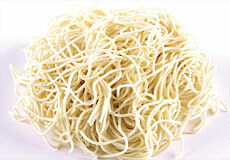 Notably, adjustments to the different noodle aspects are done to match the different soup characteristics: wavy noodles are generally more compatible to lighter soups, and straight noodles more compatible to thicker soups. What kind of noodles do you prefer? 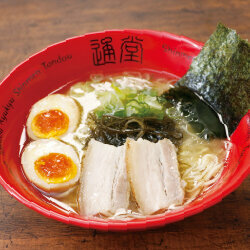 The key factor to ramen is in the soup and how various ingredients go in to bring out the umami element. Soup is generally comprised of a salt, soy sauce, miso, or other sauce bases, and finished off by adding to this, an animal-based broth like pork bone or chicken bone, and a soup which may include things like niboshi (sardines), konbu (kelp), and other seafood or vegetable-based ingredients. There really are no rules. There are even soups made entirely of chicken, or pork bone. Here too, with toppings, there are no particular rules. Standard toppings, however, include chashu (seasoned, roast pork), menma (seasoned bamboo shoots), green onion, soft-simmered egg, and nori. Other than the standard ingredients, can be found corn, narutomaki (spiral patterned fish cakes), wakame (seaweed), and even butter. Such variety is dependent on regional taste and shop master's conceptualization. Regional ramen came into being as Chinese noodles disseminated throughout Japan, intermingling with the food, climatic and environmental aspects of each region. While defining the varieties is difficult, there are at least 30 or more distinct, regional ramen in Japan, and comparing the different tastes adds to the fascination of ramen. From France and Germany to America and even Australia, Japanese born-and-bred ramen is presently taking the world by storm. The style now sweeping the world is one that's true to Japanese form, but eventually, as has been seen in Japan, it will be drawn to intermix with the local climates, environments, and food cultures of each country, giving way to new regional ramen styles from around the globe. Adult (13 or older) 310yen Child (6 to 12) & seniors(60over) 100yen Free. for children younger than 6 years old. Group of 15 or more: Adult 260yen Child&Seniors 50yen. Ramen shops take orders until 30 minutes before closing time. Kindly wait in line when the ramen shops are crowded. The ramen shops do not accept seating reservations. Same-day re-entry into the museum is permitted--simply show your ticket to a staff member at the exit, and they will stamp the back of your hand. This will later be checked under black-light when you return. Refrain from smoking in the museum, except in KATEKO, a bar in the first basement, otherwise use the smoking stands installed outside the museum. Do not bring food or beverages into the museum. If you have any, keep them in your bag and do not eat/drink them while you are in the museum. Feel free to take personal photographs. For photographs for commercial use, please obtain permission of the museum in advance. Some restaurants may be closed aside from regular holidays. Adult visitors are expected to order at least one bowl of ramen. Each restaurant also serves small-sized ramen, which is recommended for visitors who would like to try ramen at several restaurants.